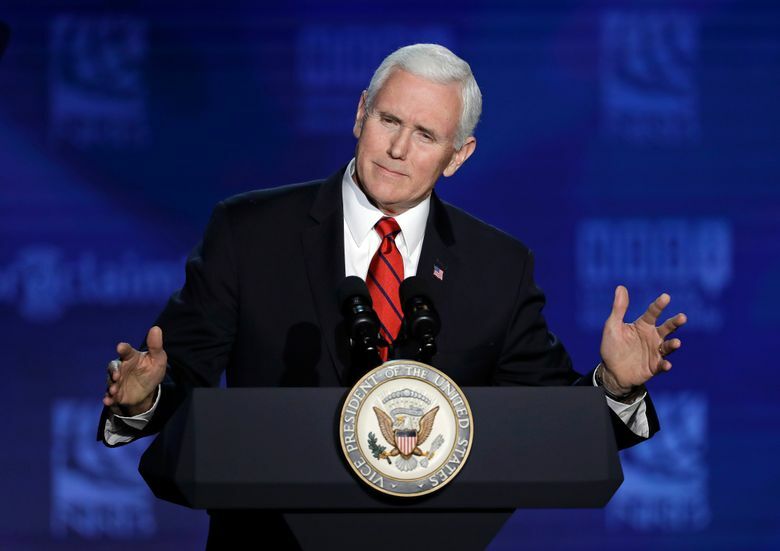 NASHVILLE, Tenn. (AP) — Vice President Mike Pence lauded President Donald Trump on Tuesday for the administration’s socially conservative policies, calling him the “most pro-life president in American history” in an appearance before Christian broadcasters. 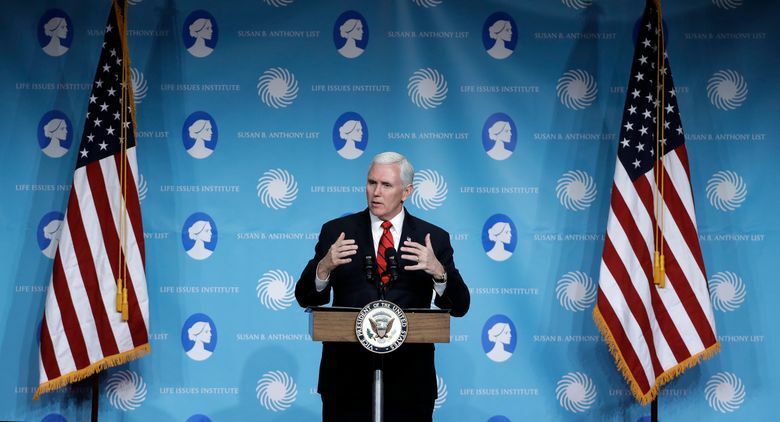 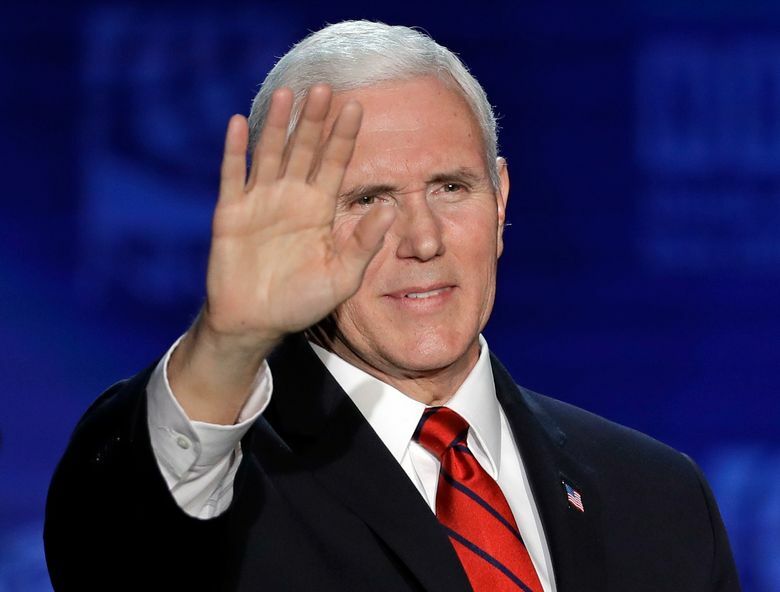 Pence relayed the message to a luncheon of abortion opponents gathered at a Susan B. Anthony list event during the broadcasters’ convention in Nashville. 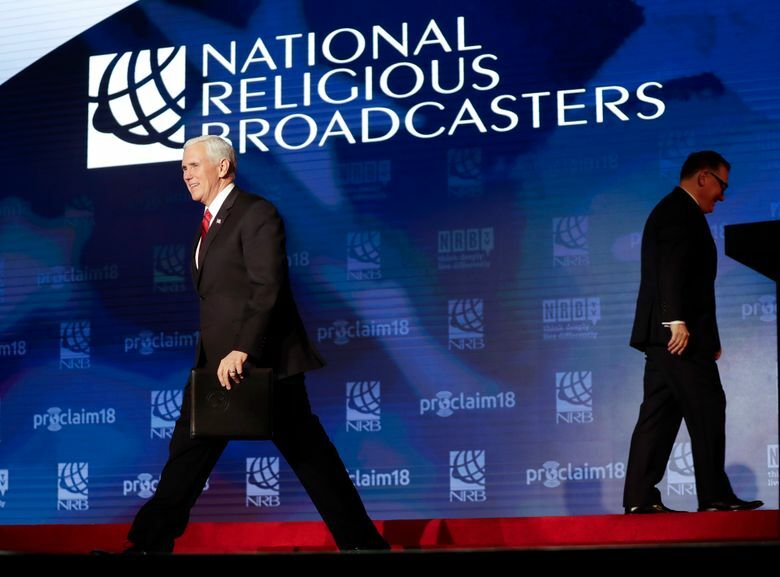 He later addressed a larger crowd of broadcasters. 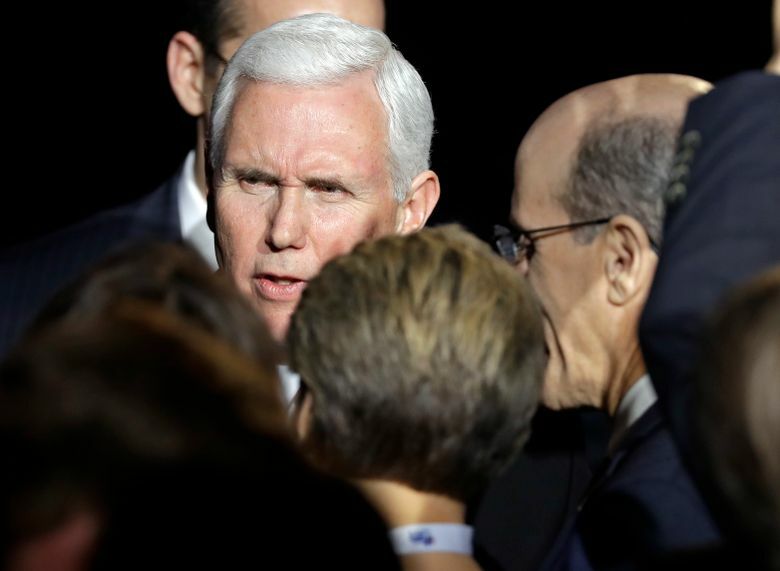 The gathering put Pence, who describes himself as “a Christian, a conservative and a Republican, in that order,” in his most comfortable element. 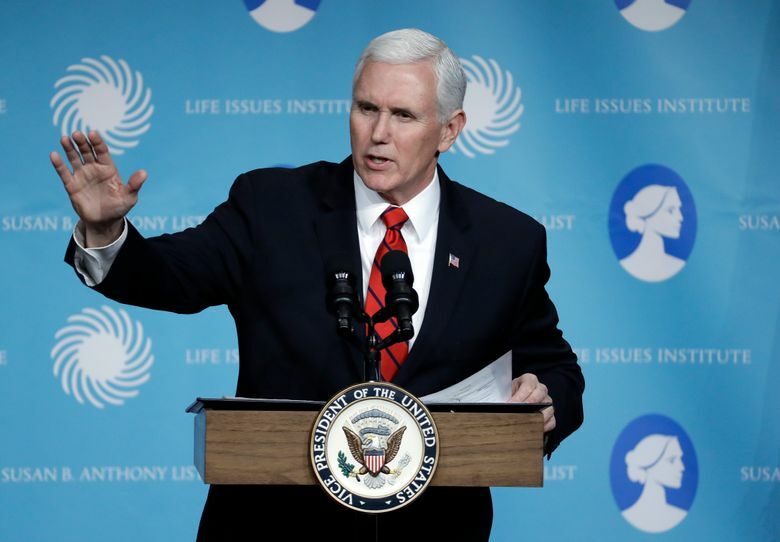 Pence, who himself is a former conservative talk show host, cited several gains for the anti-abortion movement under the Trump administration. 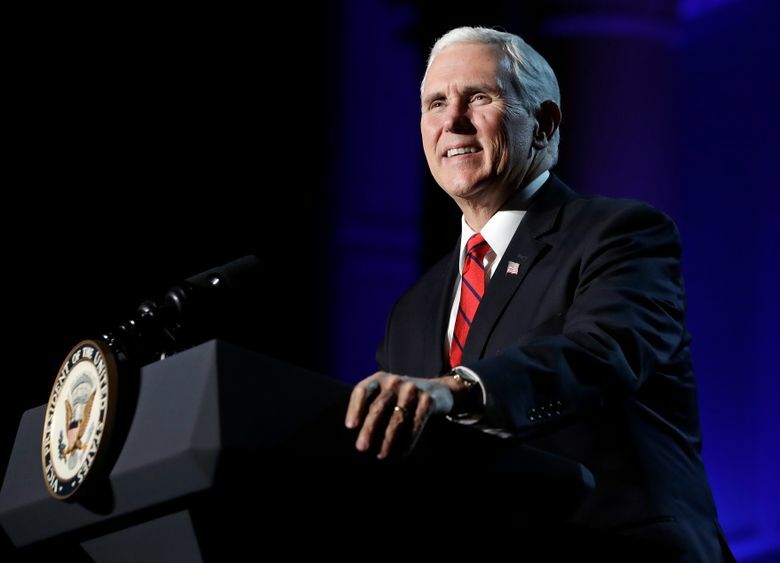 He said he was proud to cast the tie-breaking vote last March on a law letting states deny federal family planning money to Planned Parenthood and other abortion providers. 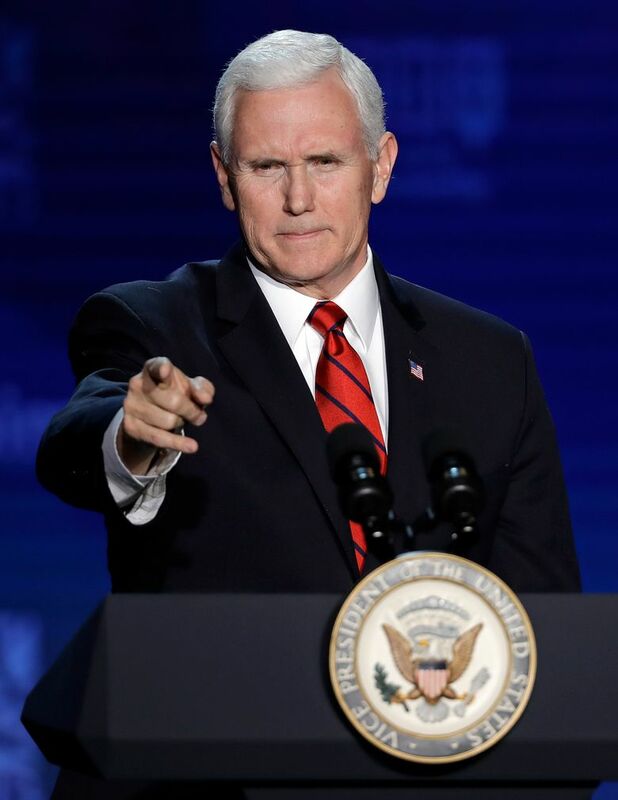 Trump signed it into law. 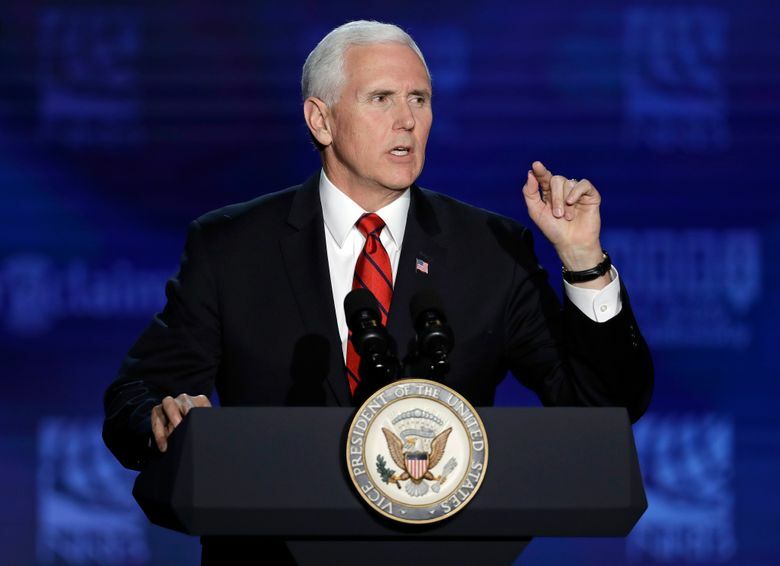 Pence told those gathered that, “from the very first day of this administration, President Trump has been keeping his word” about abortion opposition. 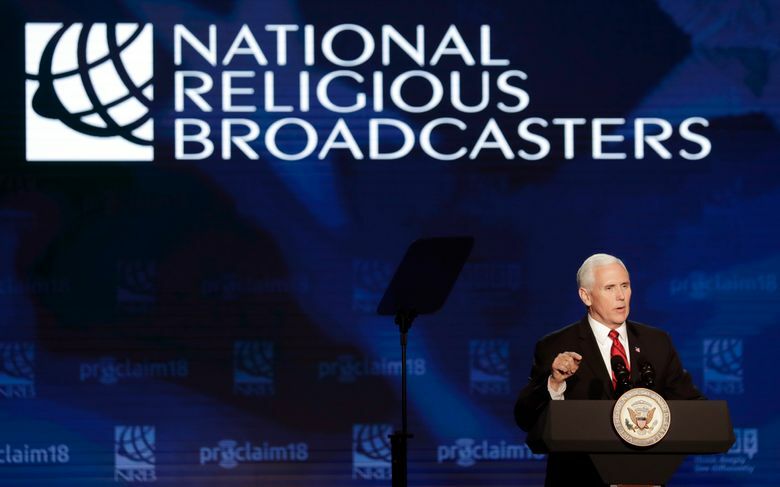 “The truth of matter is the other side, the other party, continues to go farther and farther to the left,” Pence said at the event during the National Religious Broadcasters convention. 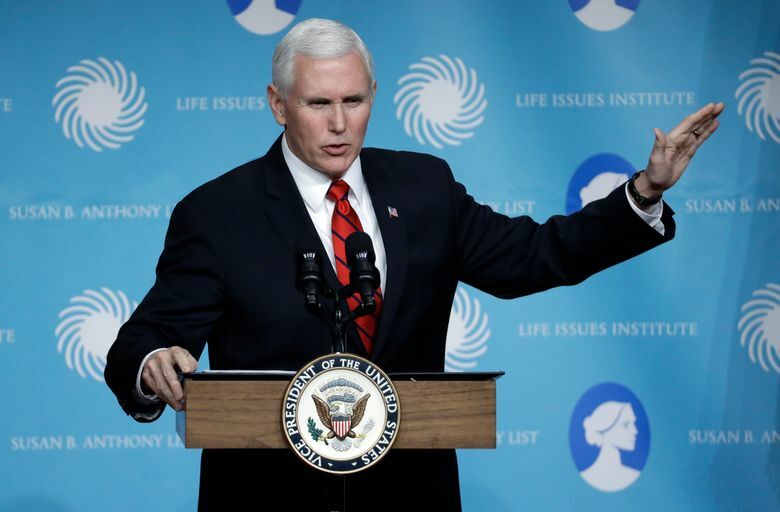 He also praised Republican U.S. Rep. Diane Black of Tennessee during his speech, calling her “one of the great, great champions” of the anti-abortion movement. 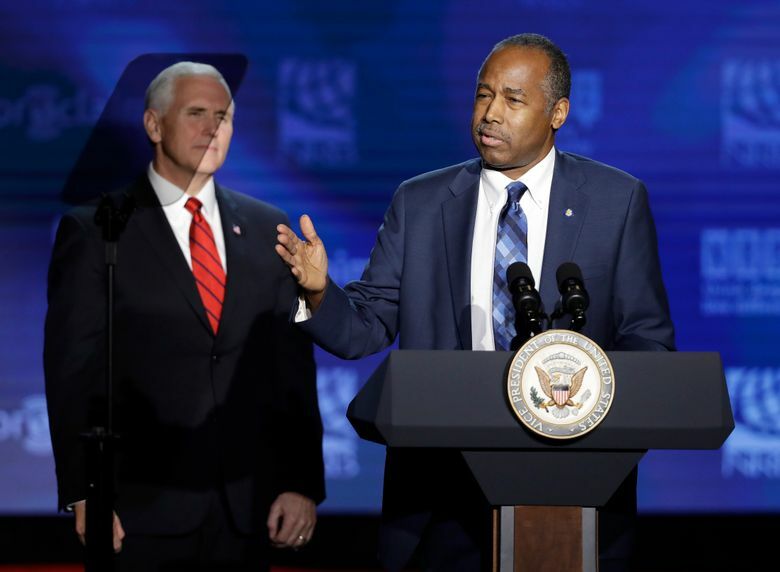 Black said both are very good friends from when he also served in the U.S. House. 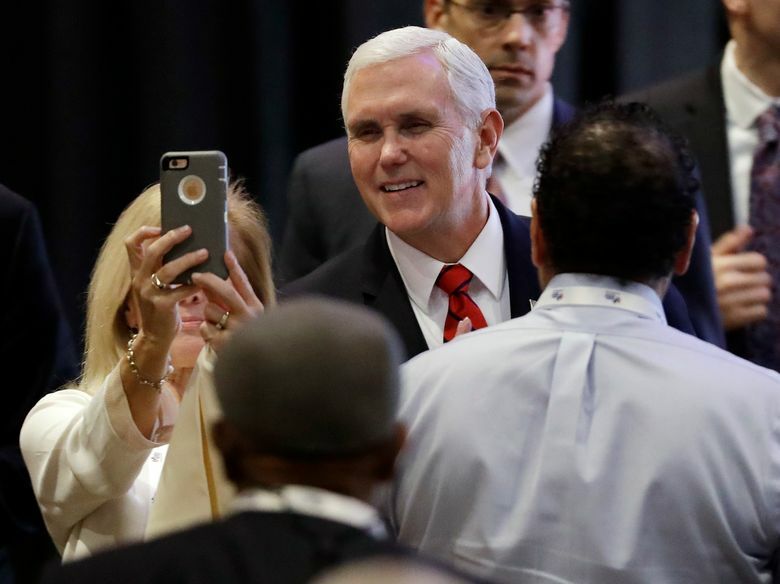 Pence’s political action committee has donated to Black’s campaign for governor, though he stopped short of telling the crowd to vote for her Tuesday. 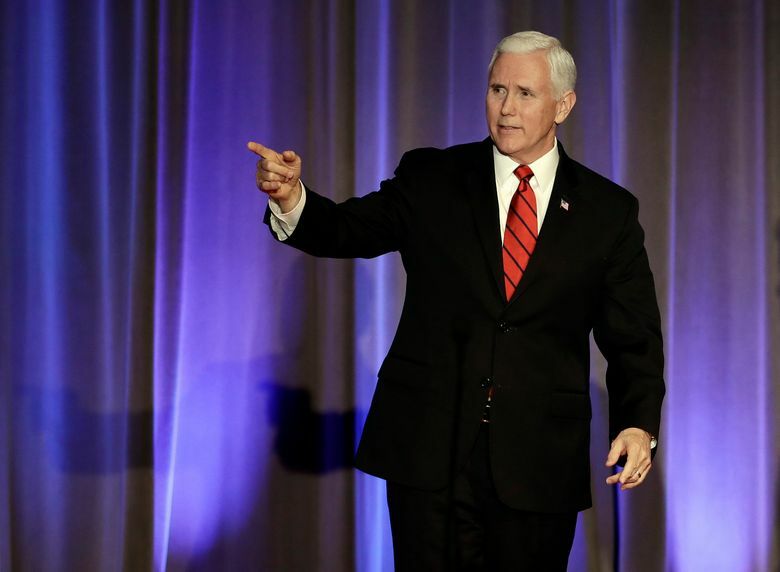 Black attended Tuesday’s gathering with Pence instead of participating in a gubernatorial health care forum across town that featured the other three leading Republicans and two Democrats in the field. 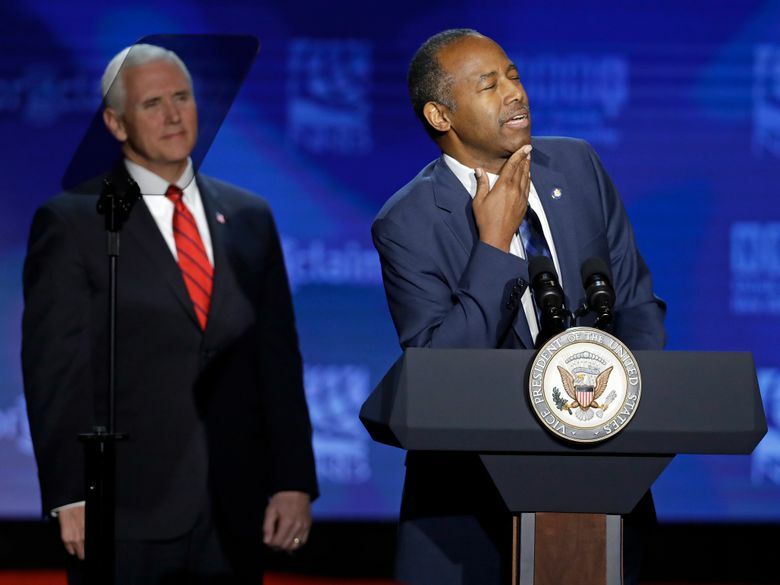 Secretary of Housing and Urban Development Ben Carson also attended Tuesday’s events.